While attending the Art Institute for Web Design and Development, I worked various jobs to afford the gas to commute to class, and lots of vegetarian food. Most of these jobs were in retail (vitamin stores and a local health food store...what can I say, I dig nutrition). 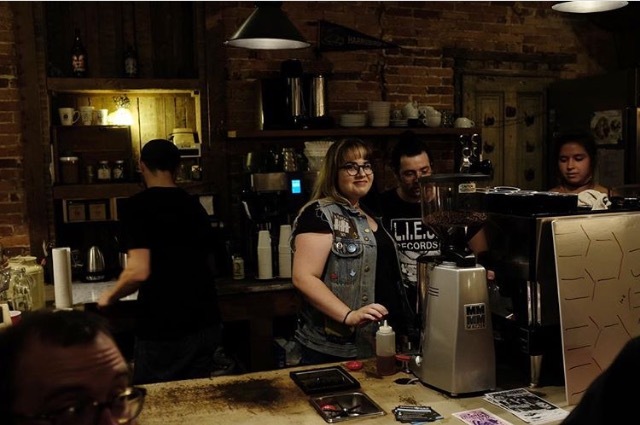 However, my most recent job was at a 1920's themed cafe in the city, where I was able to pursue a hobby I always thought would be fun to learn: coffee making. After taking some classes at a local coffee roaster (Espresso 101, Espresso 201, Milk 301), I was starting to feel like a highly educated "coffee snob". Who knew so much math and science went into a simple cup of joe? Then, once I finally had my first shift on my own at the cafe, I felt like a Barista. 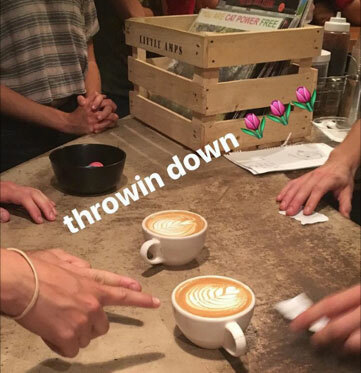 Early on into my "barista career" I was invited to a "throw down" in Lancaster, PA. What is a throw down, you may ask? Well, it's all about the latte art, my friend. Two baristas go head-to-head at pouring their best (prettiest) cappuccino, and a group of blind judges pick which one they think is best, until the ultimate winner is chosen. 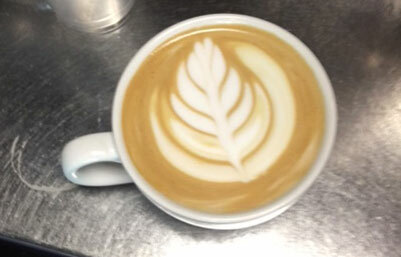 The baristas at the coffee shop that hosted the throw down were so encouraging and ultimately got me to participate. I didn't get past the first round (that's what happens when you go against one of the best right away), but everyone was just genuinely stoked that a newbie like me tried at all! 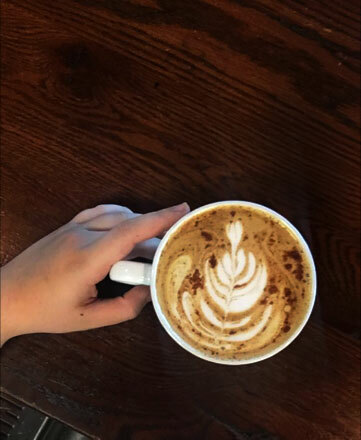 Months go by, and I am constantly working to improve the consistency, quality, and "prettiness" of the drinks I am making. A peak on my Instagram account can show the progress I made, which was really cool to see. Some of the regulars at the cafe even took the time to mention my improvement. Before long, another throw down was coming up. Summer was coming to a close and the "Back 2 School Throw Down" was happening. The two weeks before the throw down, my coworkers and I were practicing every moment we could (many cappuccinos were drunk) and I was feeling prepared. I ended up going against my best friend in the first round, with me progressing to the next level. Before I knew it, the organizer called to say that we were taking a break before the Final 4 go head-to- head in the finally. I was in the FINAL FOUR! I couldn't believe it. I was ecstatic. The three other contestants were all people in the local coffee community that I highly respected and knew well (including my boss) so the only way I was going to progress any further in the competition was by pure luck. I ended up holding my ground as 4th place, but I didn't mind at all. I was so proud of myself. My coworkers and I were especially proud of my "Barista Boss", Sarah, for taking 1st place! Secretly we all knew she would roast everyone at the throw down (pun intended). Speaking of "adulting", did I tell you that I started eating salads? Yeah, salads. Every day. AND I've been getting 8+ glasses of water a day. Where do I get my grown-up award? I think now I can say I am both the resident Jr Web Developer AND the resident coffee snob wizard at the Global Awakening office, and I am more than happy to provide advice on both subjects. 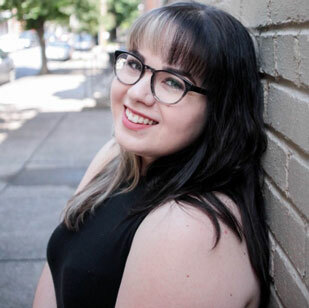 Rachel is Global’s Jr Web Developer, which means that she is the side-kick to Joseph Cotten, the Web Specialist. She also runs the majority of our social media! She enjoys collecting vinyl records, going to shows, brunch, Netflix binges, and frequent coffee shop visits. She can even make you a cortado, if you ask nicely.